Projects Abroad volunteers joining the HIV/AIDS project in Jamaica work with a local NGO that focuses on the treatment and prevention of HIV/AIDS. The aim of the project is to assist those people in the local communities who are living with HIV and AIDS by providing treatment, care, and support. In addition, an important aspect of the project relates to raising awareness and educating adolescents and young adults about HIV/AIDS through community outreach work, research, and training. In Jamaica, it is estimated that 32,000 people are living with HIV and as many as 50% are unaware of their status, with an estimated HIV prevalence rate of 1.7%. Although HIV/AIDS cases have decreased in the adult population with fewer infections and deaths, there has been an increase in reported cases of new infections among young people. You do not have to be a professional caregiver or social worker to be able to help, though your skills will be put to good use if you are. High school, gap year, and college students can all contribute to help fight AIDS in Jamaica by volunteering on this project. One of the roles of volunteers is to help support people currently living with HIV/AIDS. As a volunteer, you will work closely with people living with HIV/AIDS who visit the centre every week. You will be responsible for helping educate and support patients by providing information on ways to manage the virus and helping to develop programs relating to the economic and social needs of infected people. As part of the project, you can also assist with research on trends in the local community relating to HIV and AIDS and can help to identify programs and resources that are available for people affected by the virus. All volunteers who join the HIV/AIDS project are given training about HIV/AIDS specific to the current situation in Jamaica. 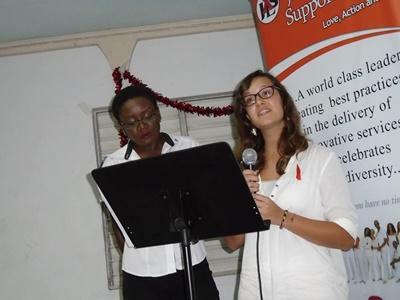 The other important role volunteers have is helping to raise awareness about HIV/AIDS. 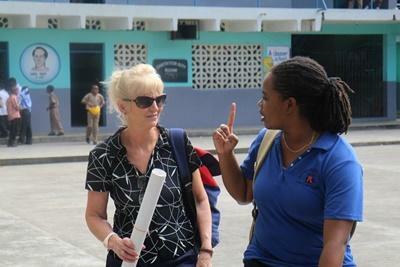 Volunteers visit local communities and provide information to the residents about HIV and AIDS. This includes initiatives like giving out informative leaflets and practical demonstrations of safe condom use. In addition, you may visit local high schools and universities to give presentations and set up displays in public areas. If you have particular skills or interests that could help further the goals of this project please speak when you apply or after you arrive. For instance, anyone with a talent in drama could put together plays or sketches that will help raise awareness about HIV/AIDS in an interactive way that will appeal to young people and adults alike.